This month, GlossyBox is celebrating women this month! With International Women's Day on March 8th, this box is all about going boldly and feeling empowered. Coloured Raine Queen of Hearts Eyeshadow Palette ($50) is a limited edition 12 pan palette that contains 6 matte and 6 foil eyeshadow shades. It is made in the USA; cruelty free and all shades are vegan free with the exception of Ladyship which contains Carmine so let's just say the palette is vegan friendly. The palette is incredible quality - the shades are creamy and pigmented - very easy to build up and use. Keep in mind the only 3 shades that I had a slight issue with was Princess, Heir and Ladyship. You can see more of what I mean in the video. Ladyship: the only shade that isn't vegan free as it contains Carmine felt gritty when swatching. I did wear this on my eyes and it performed much better than I expected given the way the swatch felt. Overall: I ADORE this palette. There aren't too many products that I normally say you have to get but you have to get this palette. It's perfect for creating different day and night looks and the quality of the shadows are worth the price tag. 1. You must follow @candycoatedclosets on Instagram. You must be an active follower/supporter of mine (that also helps your chances of randomly winning #RandomActsofCCC). 2. In the comments on this Instagram photo, tag three friends so they can learn about all of the fun we have on here. 3. You can enter up to 5 times with a new set of tagged friends in each comment. 4. You can repost the photo on your page under the hashtag #CCCDiorMakeup for an extra entry. Please do not tag me in the photo, you only need to add the hashtag to your caption. Remember, your page needs to be public at the time of the random drawing for me to see your extra entry. Blog giveaway (One winner) To enter this giveaway, simply follow/subscribe to this blog and leave a comment on this post telling me what trends are you excited to try in 2017. Contest ends Friday, January 13th, 2016 at 11:59pm EST. I will choose one subscriber at random from those who commented on this post after verifying the subscriptions and entries. The Instagram winner will be chosen separately. Kat Von D Everlasting Liquid Lipstick in Sanctuary ($20; .22oz) is described as a cool Sepia cool. To me, it's more of a brown/mauve color with these purple, gray undertones to it. This is one of those liquid lipsticks that are going to show up differently on people depending on their skin tones, undertones, pigmentation in their lips etc. I definitely recommend looking around for more swatches or heading to the store to swatch it on yourself before purchasing. The formula is very comfortable on the lips - nondrying and it doesn't smudge. Check out the video for additional views of me applying it. They are beautiful colors that seriously live up to the smudge proof claim. I had a very hard time removing these from my arm and lips with my usual makeup oil remover and micellar water. I had to grab the regular baby oil to help get it off. Beauty Bakerie does off a lip whip remover ($14) that is designed to easily remove their liquid lipsticks but I opted to use what I had at home. As for formula, it's honestly not one of my favorites. When it comes to not moving or smearing, this company takes the cake by far for smudge proof. However, I didn't necessarily like the color payoff. In the video below you can see the color payoff that I got with one coat applied. I didn't really get a true color payoff or a color that I was satisfied with until I added two coats which normally isn't a problem for me but after about an hour of wear, I really started to feel the liquid lipstick on my lips and it starting to crack and hurt - and that's because I added on the additional coats. Overall: I'd purchase from them again because I want to try out other formulas from them besides the metallic line. Also, I have adjusted the comfort of the formula by just adding in a few drops of bio oil or maracuja oil into the formula so having to layer them is not a deal breaker for me. Sugarpill Cosmetics Pumpkin Spice Eyeshadow ($16; .12 oz. ; Vegan) is a seasonal limited edition shade of rustic copper foil with sparkling golden reflects in a super saturated, rich and velvety formula. 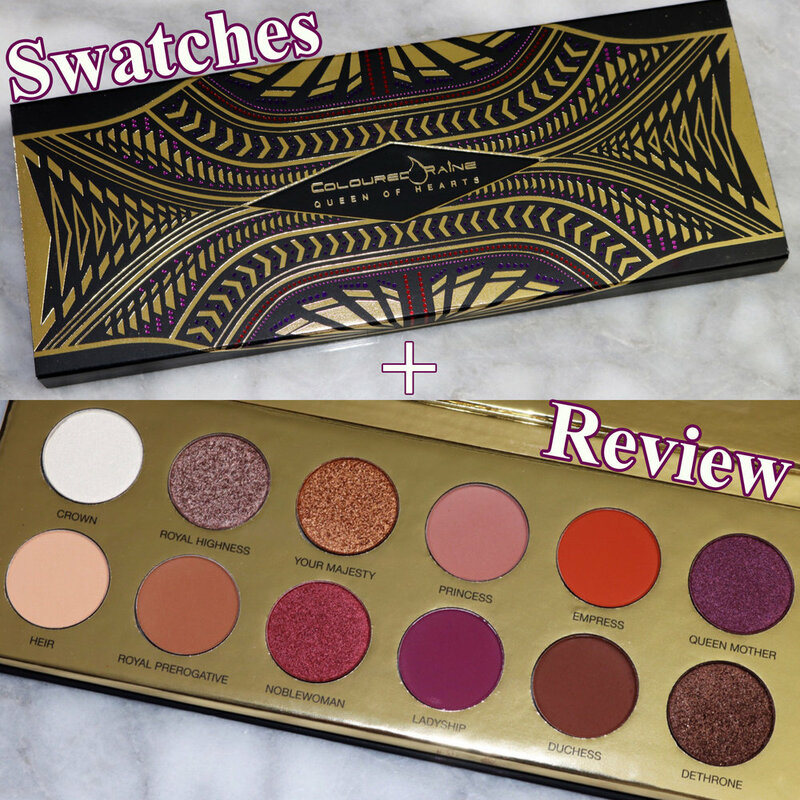 Check out the video below for live swatches and my quick thoughts. Overall: This is an absolutely beautiful shade with a very soft and pigmented formula. I'd recommend using a light hand when picking up the shadow because you will get some fall out. I hope you're having a happy and safe start to you New Year. I'm currently testing the new Tory Burch Love Relentlessy Eau De Parfum that I receive from Bloomingdales. Introducing Love Relentlessly, the new fragrance from Tory Burch inspired by the love story of her parents. A bold and romantic mix: pink pepper unfolds into rose and orris, then reveals a warming blend of patchouli and ambertonic. It's undeniably feminine in a jewel-shaped glass bottle with pink accents. Charmingly youthful, the Love Relentlessly fragrance has a Neo Chypre structure. - Top notes: The essence opens with a sparkle of Pink Pepper and luminous accents of fruit. - Middle notes: The heart unfolds with smooth, luxuriously feminine notes of Orris. - Base notes: As the scent dries down, a rich layer of patchouli pairs with creamy Sandalwood and earthy touches of Vetiver. Let's ring in 2017 the right way shall we! Melted creamy caramel, dripping Tahitian vanilla and syruped canned peaches - it's time to give away one of my favorite Gourmand fragrances to end 2016! 1. You must follow @candycoatedclosets on Instagram. 4. You can repost the photo on your page under the hashtag #CCCBonBon for an extra entry. Remember, your page needs to be public at the time of the random drawing for me to see your extra entry. To enter, all you need to do is follow me on Twitter, RT this Tweet and you’re entered to win! Make sure you tag your friends so they can enter too. 18+ or older to participate. Open internationally. Contest runs from Friday, December 30, 2016 and ends Monday, January 2nd, 2017 at 11:59pm est. Winners will be randomly chosen and announced within 48 hours of the contest ending. No giveaway/spam profiles & profile must be set to public by the end of the contest so we can ensure that you are following @candycoatedclosets and @candy_closets. Open internationally; 18+, to enter. Odds of winning depend on number of entries received. Make sure that you click on the links above if you want to learn more about this amazing product from the giveaway! Availability: Only on Sugarpill.com for $18. There is a $6 flat rate shipping cost but if you spend over $100 you do get free shipping. They do ship worldwide (with the exception of a few countries). It is made in the USA and you are going to get Net Wt. 6 grams / .21 oz of product with a shelf life of 12 months. Thoughts: The formula of these are amazing. By far, this brand is in my top 5 for favorite liquid lipstick formula because of how soft and non-drying it is. As for the color - it's very pretty on its own but I"m going to have to play with it to see how I'll wear it out (with a full face; pics later). Comparing it to it's sister lip color Trinket; hands down Trinket wins for me if I had to pick one - the color just suits me better. I finally got my hands on Jouer Cosmetics Long-Wear Lip Crème Liquid Lipstick in Cabernet ($18) and the Long-Wear Lip Topper in Tan Lines ($16). It seems like every time I try to order from them, one color was out of stock and I refused to pay for shipping or be forced to get another color that I didn't really want. The products came in this cute light pink box with rose gold trimmer. Cabernet is a very creamy matte deep red with blue based undertones - it kind of reminds me of Coloured Raine's Cherry Blossom. For $18, you will get 0.21 fl oz. Tan Lines is a metallic shimmering bronze lip topper - similar to Bite Beauty's Gold Creme lip gloss except Jouer's is more bronze. For $16, you will get 0.20 fl oz. Press play in the video below to see Tan Lines in action as I recommend picking this one up for your collection. Jouer's lip toppers are non-gritty, not sticky and actually bring some moisture back to your lips if you use it with a drying matte liquid lipstick. YOUTUBE GIVEAWAY ALERT! It’s time to give this beautiful bottle of Marc Jacobs Daisy Dream away to one lucky follower for the holidays! Head over to my YouTube channel and make sure you're subscribed. Leave a comment on any of my videos (preferably please make it an interesting comment other than just entering the giveaway lol). All of the comments from the date and time of this announcement post until the end of the contest will be entered into the random generator for a chance to win a Daisy Dream gift set. We will verify if you are subscribed or not. Contest runs from Wednesday, December 14, 2016 and ends Sunday, December 18th, 2016 at 11:59pm est. Winners will be randomly chosen and announced within 48 hours of the contest ending. Open internationally; 18+, to enter. Odds of winning depend on number of entries received. Happy holidays! I wanted to create this very easy and quick red lip look that you can absolutely wear separately or if you're feeling daring...wear it with your favorite glitter topper. Make Up For Ever Ultra HD Invisible Cover Foundation ($43) is a HD foundation with an ultra-lightweight texture that provides ultra flawless skin. It was developed specifically for film and TV to be invisible under the latest, super-focused 4k lens. It features uniquely-coated pigments that provide medium to buildable coverage with an even lighter weight, second-skin texture that looks just like skin. There are no if's, and's and but's about this....if you don't have a proper skin care routine in place then you seriously need to send me a private message so I can put the fear of aging, sagging and brittle skin into you. Dramatic much? Yes it is, but a good skin care routine is essential to a flawless canvas. I can't tell you how many people spend hundreds and hundreds of dollars on makeup to get a flawless look but skimp when it comes to their skin care. I know not everyone can afford high end skin care products or are even at a stage in life when they're thinking about putting on sunscreen everyday or what's the difference between a serum and an essence. Trust me, I understand. I just turned 30 and it wasn't until the past year and a half or so that I really started paying to my skin - and it's made a world of wonders. With all of that said, I wanted to give you guys a chance to either start a skin care regime or try some new products with of course, a new #SkincareSunday giveaway featuring some products from Philosophy. So I figured I'd break this up so a few people could try something from this line. On this Instagram photo, I'm going to be giving one person the daytime and nighttime cream along with the eye cream (everything in the above photo). Make sure you follow me on Instagram and head to this photo to enter. Here are the blog, I'm going to be choosing two subscribers - each will receive one eye cream (photo below). As always, good luck! Be sure to check out the products with the links above if you want to learn more about them and some of the inspiration behind the philosophy line. Contest runs from Sunday, December 11, 2016 and ends Friday, December 16th, 2016 at 11:59pm est. Winners will be randomly chosen and announced within 48 hours of the contest ending. No giveaway/spam profiles & profile must be set to public by the end of the contest so we can ensure that you are following @candycoatedclosets and see your extra entry if applicable. Open internationally; 18+, to enter. Odds of winning depend on number of entries received. Covergirl Roses Trunaked Eyeshadow Palette ($11.99) is an 8 pan eyeshadow palette with a range of colors - neutrals, rosey pinks, and deep burgandys - that vary in matte to shimmer finishes. It comes housed in a skinny plastic case with a dual-sided sponge applicator. Honestly, it reminds me of a more affordable dupe to the Urban Decay Naked 3. The only difference is a bit of inconsistency in the formula. Here is a photo of swatches straight out of the pan with one swipe only (You can view more in the video below). And here are swatches of each color built up. At first swatch, you can already see that these are going to take some working with to get the pigmentation and look desired. To be honest, the shimmers performed fine. It's more so the matte shades that I'm a little concerned with. I haven't done a full look using this palette yet - I will update once I do but take a look at the shades in the video. Smashbox Be Legendary Lipstick is a range of cream lipsticks with a blend of intense pigments and luxurious emollients that saturate the lips with brilliant color that looks amazing and feels feather-light. It's been so long since I've actually purchased a regular lipstick (a non-liquid lipstick) that it honestly felt weird shopping around for these when looking for something else to review from Smashbox. When researching the formula, I was intrigued by this line because of its formulation. It has a moisturizing satin-smooth formula that is designed to soften and protect your lips with shea butter and vitamins C and and it is formulated without parabens, sodium lauryl sulfate, phthalates, silicone & talc. They cost for $21.00 for 0.10 oz. of product and are available in two finishes - Satin and Matte. 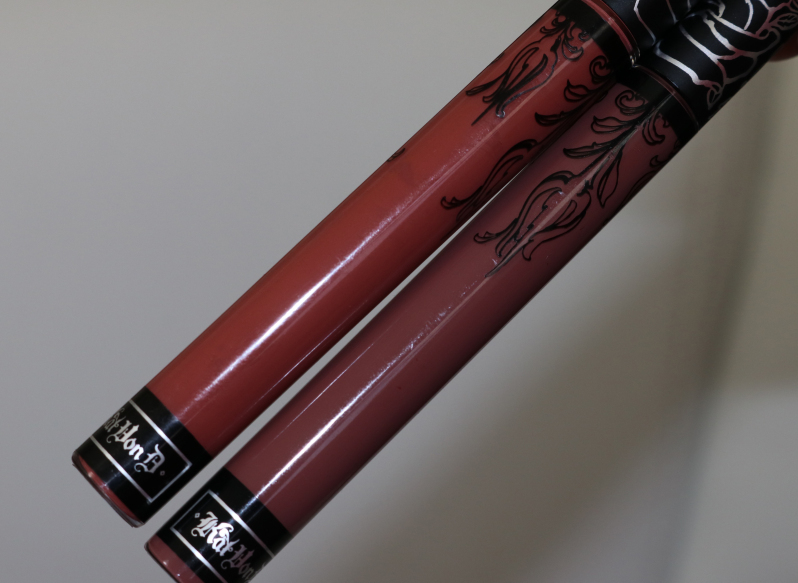 Here are two mattes to take a look at - Infrared Matte and Jam On It. Above photo taken with flash & in LED lights. Above photo taken with no flash & in LED lights. So even though these are from the matte line, it didn't dry down to a complete matte. They definitely hold true to the moisturizing and creamy light weight feel on the lips. As comfortable as they are, they don't fully set so the color does wipe off and you're going to have to reapply throughout the day. As for the pigmentation, I did have to build these up on my lips to get a full color payoff. I don't mind so much but since these do wipe off easily (when eating or drinking), keep that in mind if you decide to purchase. I recommend pairing them with a lipliner to make them stick a bit more. "I don't pop Molly, I rock Tom Ford....Tom Ford, Tom Ford, Tom Ford..." I swear everytime I write about Tom Ford I have to play that Jay-Z song. Anyway, 'tis the season so let's keep the giveaways going. I wanted to bring back a feature on one of the first editorial photoshoots that I did for in my blogging and social media career - Tom Ford's Velvet Orchid. This fragrance warrants a woman with a unique character that is looking to deliver a powerful floral signature scent that has a bit of spice to it. It opens with an accord of black orchid blended with notes of velvet orchid, turkish rose oil and jasmine. In order to distinguish it from its older sibling, Black Orchid, Velvet Orchid’s team of perfumers packed it full of florientals and citrus notes such as orange blossom and rose absolute. The base of the fragrance is more feminine and warm due to the rich flavors of vanilla, amber, sandalwood and suede. So it's time to give it away! It’s time to give this beautiful bottle to some lucky followers! You must follow @candycoatedclosets on Instagram. In the comments on this Instagram photo, tag three friends so they can learn about all of the fun we have on here. You can enter up to 5 times with a new set of tagged friends in each comment. You can repost the photo on your page under the hashtag #CCCTomFord for an extra entry. Remember, your page needs to be public at the time of the random drawing for me to see your extra entry. Contest runs from Monday, December 5, 2016 and ends Sunday, December 11th, 2016 at 11:59pm est. Winners will be randomly chosen and announced within 48 hours of the contest ending.